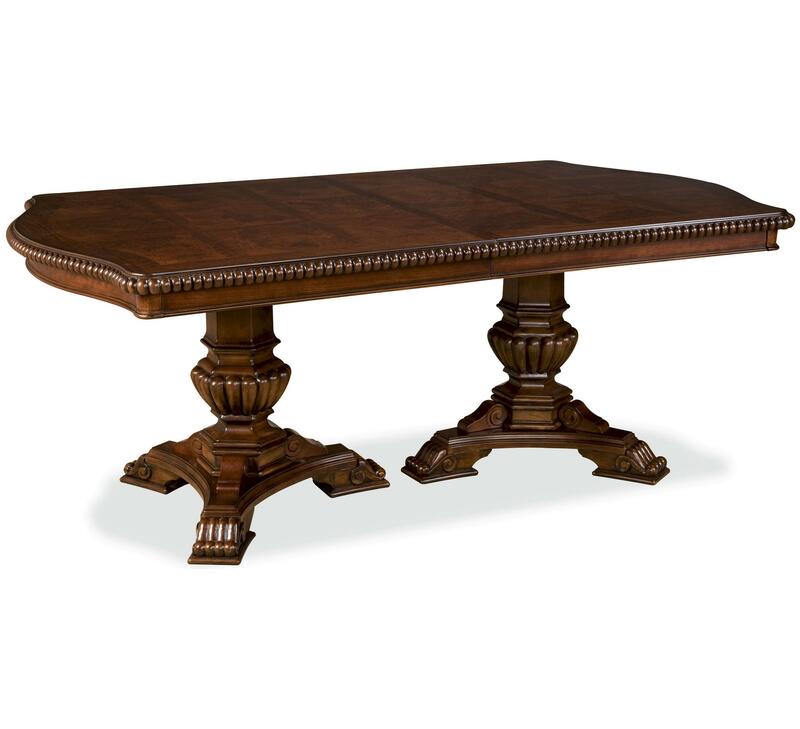 The Villa Cortina Double Pedestal Dining Room Table With Three Leaves by Universal at Zak's Home in the Tri-Cities, Johnson City, Tennessee area. Product availability may vary. Contact us for the most current availability on this product. 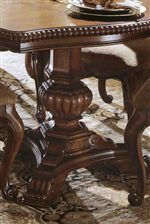 409658-TAB-C Double Pedestal Top 1 48" 76"
409658-BASE-C Double Pedestal Base 1 30"